Create as many points of sale as you need and let your customers to pickup their orders right from them. Combine online shopping and checkout with the most convenient way to get the order in the nearest brick and mortar store. You only need to install the Wyomind Pickup@Store Magento 2 extension. It adds a collection shipping method to the default Magento 2 checkout making your ecommerce store more user-friendly. Along with the Magento pickup in store option, your customers get some other features that make shopping experience better. And the module is loyal to administrators and their backend duties. 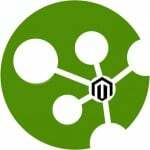 So, why is the Magento 2 store pickup extension so useful? There are several reasons to consider Wyomind pickup store module a must-have improvement. First of all, it allows to create as many offline locations as you need. Therefore, if you have a brick and mortar store, install this click and collect Magento 2 extension to indicate your customers to your offline outlet. It not only displays your stores during the checkout procedure, but also creates a separate page with locations. Not that the nearest location can be displayed automatically. Besides, the module shows directions to each store. Secondly, the Wyomind Pickup@Store Magento 2 module provides availability check. It means that a customer can find the desired product on your ecommerce storefront and check whether it is available in the nearest offline outlet or other stores. 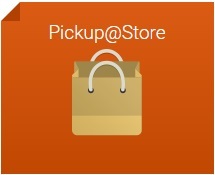 Of course, the new shipping method is added to the checkout, so everyone (or buyers of selected store views and customer groups) can select Magento pickup in store option. 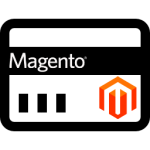 It is also necessary to mention that the Wyomind Pickup@Store Magento 2 extension offers extra flexibility, since it allows to specify various pickup conditions right during the checkout. 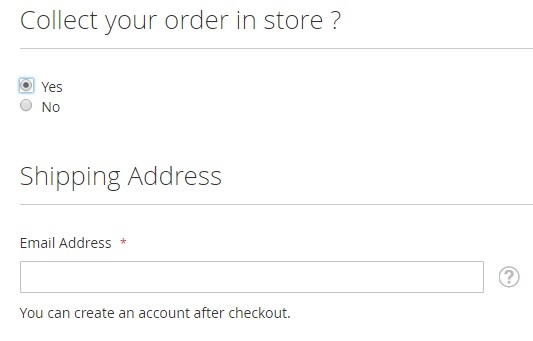 You can even add a map with your offline locations to the checkout page. Another advantage of the tool is related to simplified management of click & collect orders. It supports a system of email notifications that inform customers about in store pickup conditions including contact information and business hours of the online outlet where the order must be collected. Besides, the backend grid with orders indicates click and collect orders, so you can easily find and manage them. 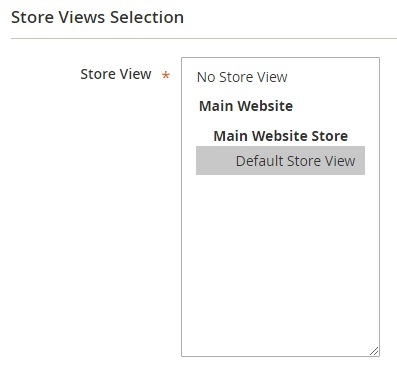 As mentioned above, Wyomind Pickup@Store Magento 2 module fully supports customer groups and store views. Therefore, you can fully control its frontend appearance. 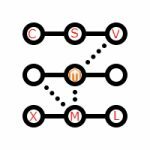 Now when you know the core principles behind the Wyomind Pickup@Store Magento 2 module, we’d like to draw your attention to its backend section. It displays store ID, name, address, contact information, business hours, store view, customer groups, amount of orders, and status (visible or hidden). You can edit or delete each offline location. Besides, it is possible to export a CSV file that contains information about your brick and mortar stores. The opposite action is supported as well, so if you have a CSV with the appropriate data, it is possible to avoid manual actions. While editing or creating a new POS/Warehouse, you have to deal with 5 tabs of settings: General Information, Addresses & Hours, Store View Selection, Customer Group Selection, and Inventory settings. The first tab allows to specify store code (for internal usage only) and name. Next, you should choose a type of its display. If it is ‘Point of Sale’, the outlet is displayed on Google Map and checkout pages. If ‘Warehouse’ is chosen, neither Google map page, nor checkout shows this offline location. There is also a field that shows the amount of orders related to the store. You can edit their number manually. And you can specify latitude and longitude manually. Alternatively, the Wyomind Pickup@Store Magento 2 extension allows to drag and drop marker on Google Map. 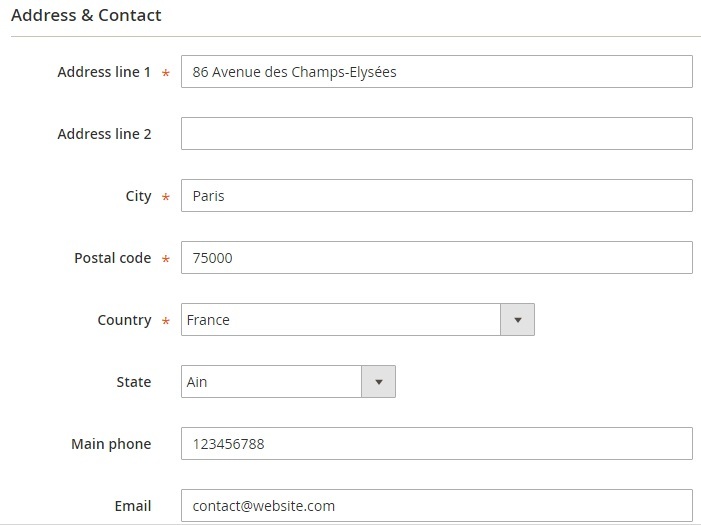 Under the Address & Contact tab, specify address information of the offline location you are editing, add contact phone number and email, upload an image, and create a description. 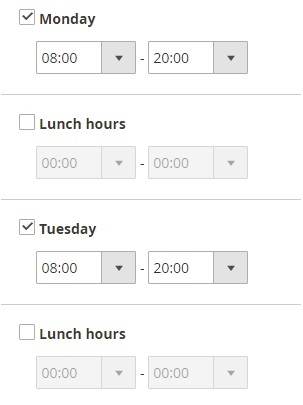 Besides, you can specify work days and hours as well as lunch hours. The Store View selection tab allows to choose a store view to display the offline location on. The same is about Customer Group Selection: this tab allows you to show your POS to selected groups of customers only. 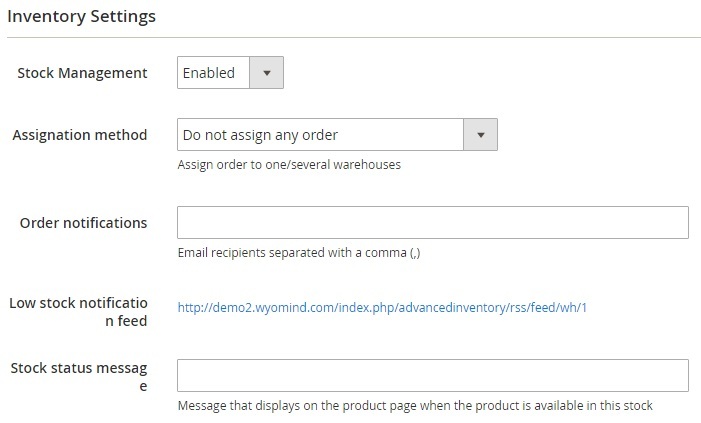 In Inventory Settings, enable stock management, choose whether to assign orders to one or several warehouses (note that you can create special rules by selecting the ‘Assign orders depending on specific rules’ option), specify email recipients for order notifications, and create a message that indicates product availability in the offline store. Next, enable quantity management for products and config settings for backorders. Now you know how to manage brick and mortar stores with the Wyomind Pickup@Store Magento 2 extension. 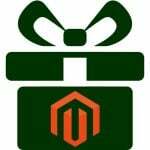 Let’s proceed to the checkout section to illustrate how the module changes it providing customers with the new Magento pickup shipping method. The Shipping section of the checkout page changes depending on the selected shipping method. 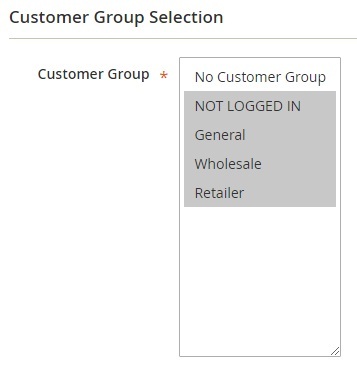 If a customer doesn’t want to collect the order in store, it’s a default section with multiple fields. 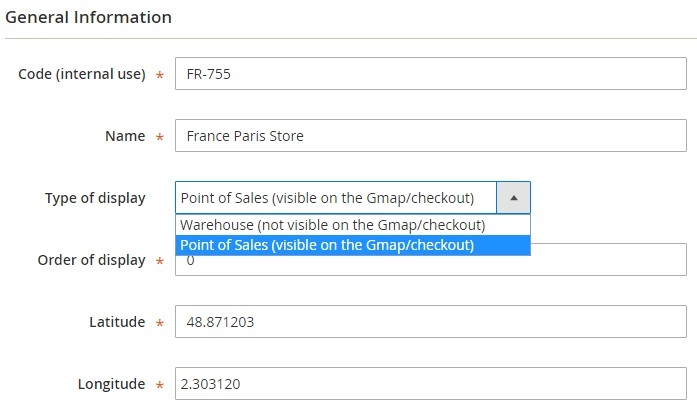 But right after the Magento 2 collect in store option is selected, the fields are replaced with a more usable interface. But in both cases a customer should specify a contact email address. Next, it is necessary to select a point of sale and a preferred pickup day. All POS locations are available in a dropdown list. The same is about preferred days. 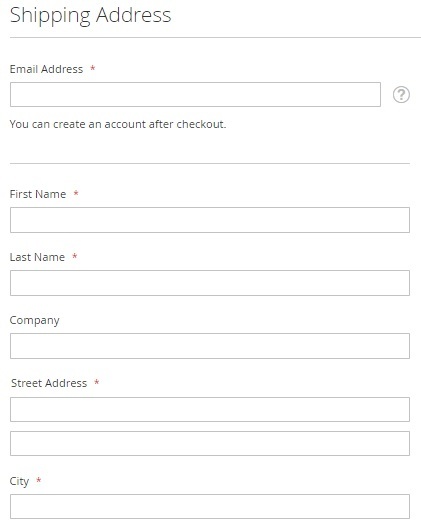 Note that the Wyomind Pickup@Store Magento 2 module allows to select a date to click the order within two weeks. Alternatively, it is possible to select a country, and choose a store from the available points of sale. Besides, a customer can enter his or her location or use automated location detection to find all nearby stores and get directions to them. Not that contact details and business hours are displayed on the right from the map, while the map shows just a store name and allows to display the location on Google Map in a new tab.